Ghana overcome Nigeria in thriller. 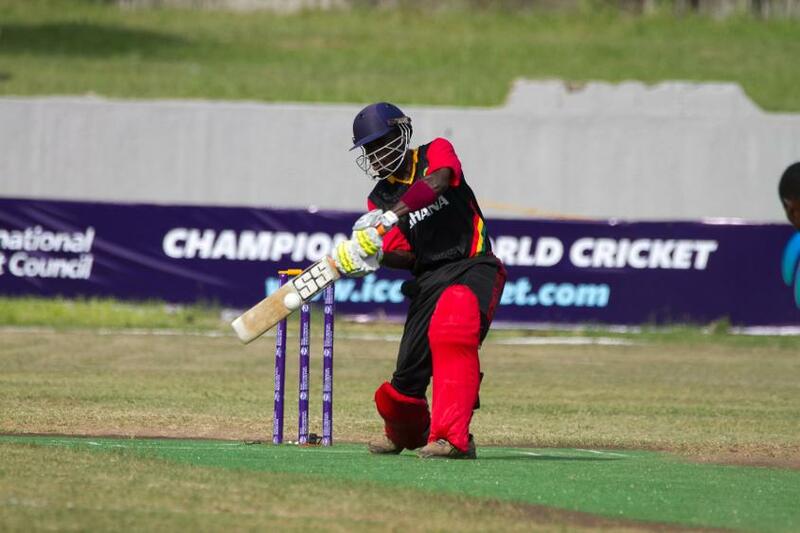 The Black Sticks of Ghana hold all the aces in the ICC World T20 Africa Qualifier A in Lagos, after they outlasted hosts Nigeria in a thrilling clash at the Tafawa Balewa Square Cricket Oval on Tuesday. Nigeria only managed to score 119 for eight in their 20 overs. Oladotun Olatunji gave his side something to bowl at, with an aggressive 46 off just 30 balls, while the top order fell around him. His skipper, Chilezie Onwuzulike was again in the runs, chipping in with a much-needed 33 from 29 balls. But, they were the only batsmen to reach double figures as the home side caved in badly. David Ankrah was the destroyer in chief, claiming three for 14 in four nagging overs. In pursuit of 120, Ghana took their time. Opener James Vifah struck a well-paced 32, to set the platform, before the on-song Simon Ateak finished with a nerveless 50 not out, to get them over the line with a ball to spare. In the earlier contest, Sierra Leone also had a successful chase, as they reined in the paltry total of 87 all out that The Gambia offered. Only Mbye Dumbuya made any headway with the bat, as The Gambian skipper made 20. The next highest contributor was the extras column of 18, supplemented by 13 wides. The target was a straightforward one for Sierra Leone, and they got home inside 13 overs. Abubakarr Kamara (26 not out), Ibrahim Mansaray (25) and Yegbeh Jalloh (20 not out) were all amongst the runs, as Sierra Leone opened their account. The second round of fixtures will now take place, starting on Wednesday. The Gambia play Ghana in the morning while Nigeria face Sierra Leone in the afternoon.